This Adults Only resort is a perfect get away for honeymooners, couples, or solo travelers and offers 80 elegant Deluxe Rooms, featuring private balconies and sea views. 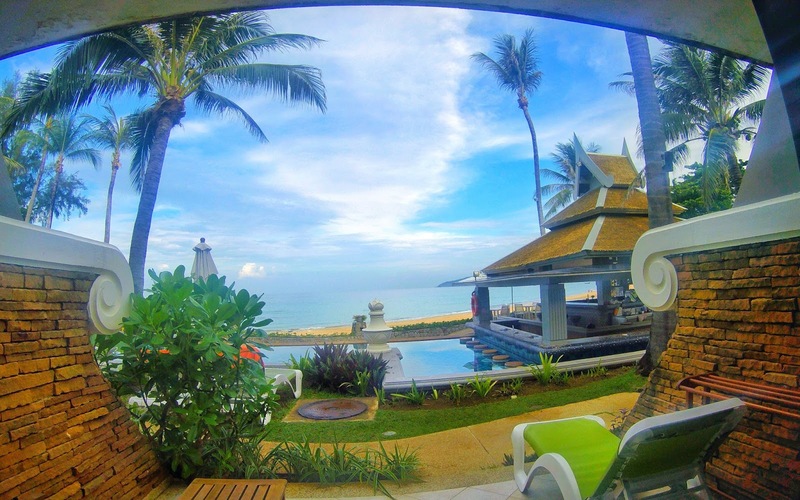 It's located on Karon Beach away from the business of Patong Beach. I found this resort on Hotels.com while looking for the perfect accommodation after my tour ended. I decided to stay one more day before departing back to reality and I was happy that I booked my accommodation here. 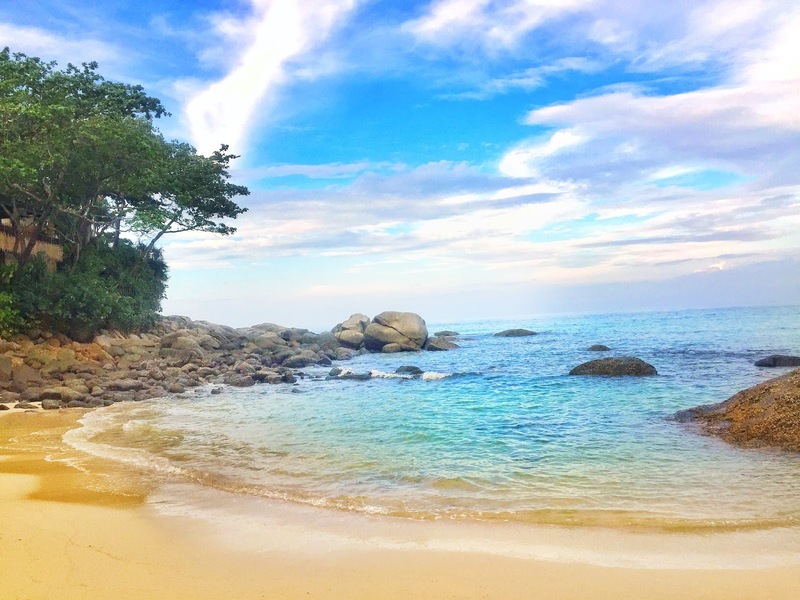 If you want to read a full review of my stay at the Merlin Beach Resort (click here) and if you want to read my thoughts of my Thailand Island Hopping tour (click here). 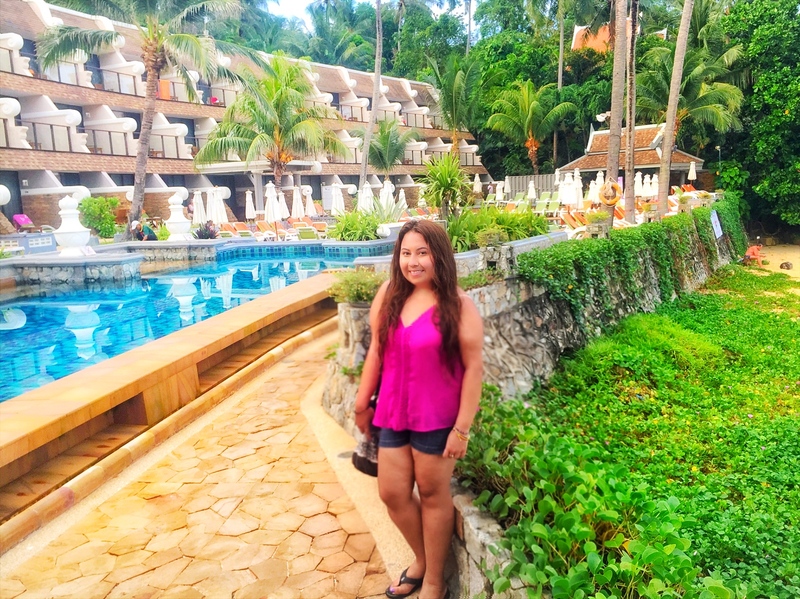 I wanted to stay at luxurious resort to decompress and explore a different part of Phuket. The check in process was pretty quick and the staff were very welcoming. 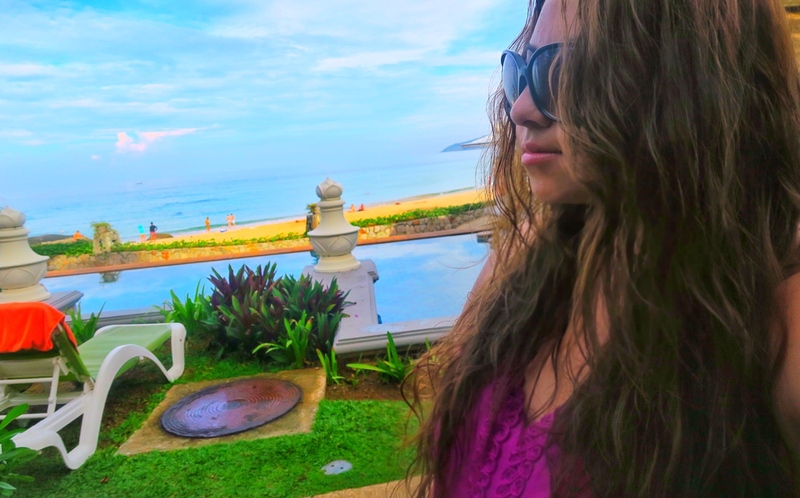 I immediately loved that every room at this resort got an ocean view. Where the resort is located is pretty because there are many shops and restaurants in walking distance. My booking through hotels.com offered a free breakfast with my stay which was buffet style. The breakfast buffet included an array of pastry selections, juices, coffee, western style food and thai food. The staff were exceptional, they went above and beyond with their hospitality! Everyone was very friendly and accommodating, and always having huge smiles on their faces. What I thought was very unique to this accommodation was that every room had an ocean view. The grounds were very well maintained, rooms were spacious and clean. I would definitely recommend staying here if you want true peace, quiet surroundings, and relaxation! Any recommendations for accommodations next time I come to Thailand? This looks like a perfect location to spend the summer holidays. But why is it an adult-only resort. I would like to bring my kids along you know. There are plenty of family-friendly resorts around, this just happened to be an adult only one. I love this. It appears like it's going to be a great place to spend the honey moons. I think I will need to share it so many can know about it. Thanks for bringing this to us. It's perfect for honeymooners, thanks for sharing my post! When I was with my parents in Thailand, I were in town which is named Chiang Mai, so I was not even near the sea. I was in mountains. My parents love extreme, and I am not. They rented scooters, and even make the life insurance for me http://catmotors.net/health-and-life-insurance/ over here, they wanted me to ride with them to mountains, with big undesired, I went to adventure. Was not so bad, but for me is better to rest on the beach.